Address: 22/1 Chamnan Sathit Alley, Tambon Chong Kham, Mae Hong Son, Thailand. I stayed at the Palm House in Mae Hong Son, Thailand. I booked it online for its price and location within Mae Hong Son. 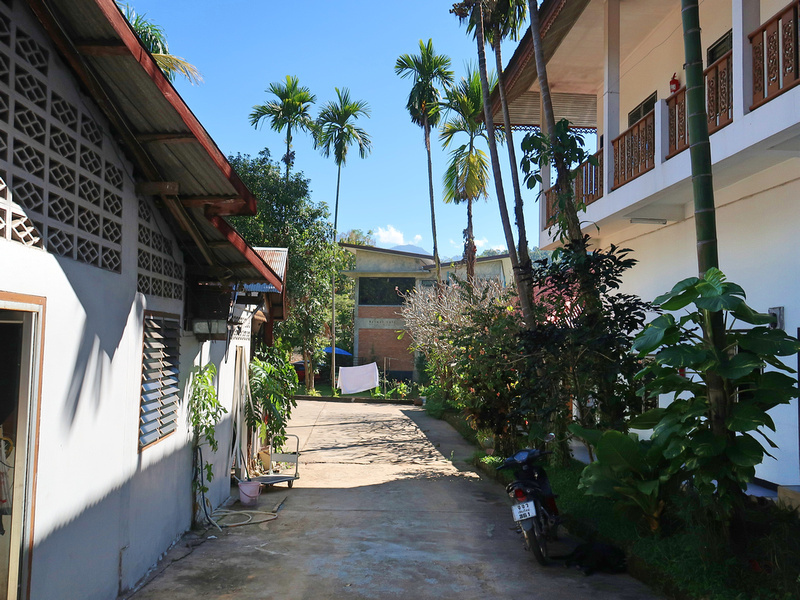 This was my first time in Mae Hong Son so I didn’t know if there was a best area, but the town/city is small enough that you can walk everywhere anyway. The Palm House is on a large property, with the older building at the front, and a new rental place behind. I got a double room with private bathroom. The bed was comfortable and the room had a fan and air conditioning. I didn’t need the A/C during my stay. The room was spacious and bright, though being a bit older it didn’t have power outlets in useful places. There is free wifi here, and the connection was good in my room. 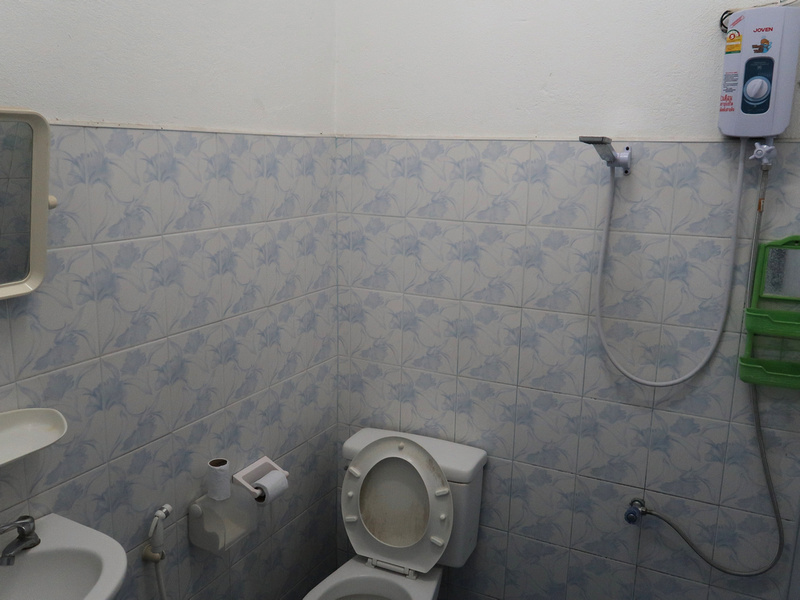 The bathroom was clean and orderly, with a good hot water system. It could have used some space to place toiletries around the sink. 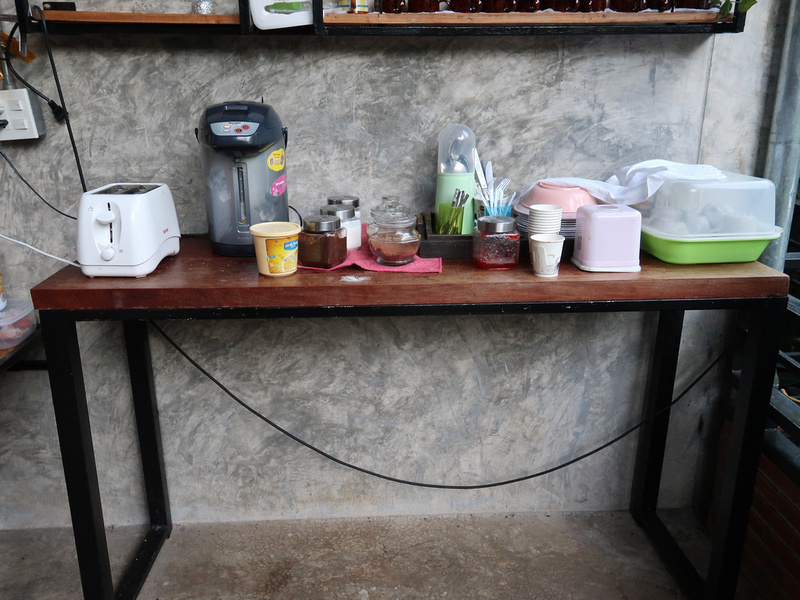 There is a breakfast service here, which is a basic self-service tea and toast offering. The location was ideal for exploring Mae Hong Son, being a few minutes walk from the central park and lake area that has the night market. 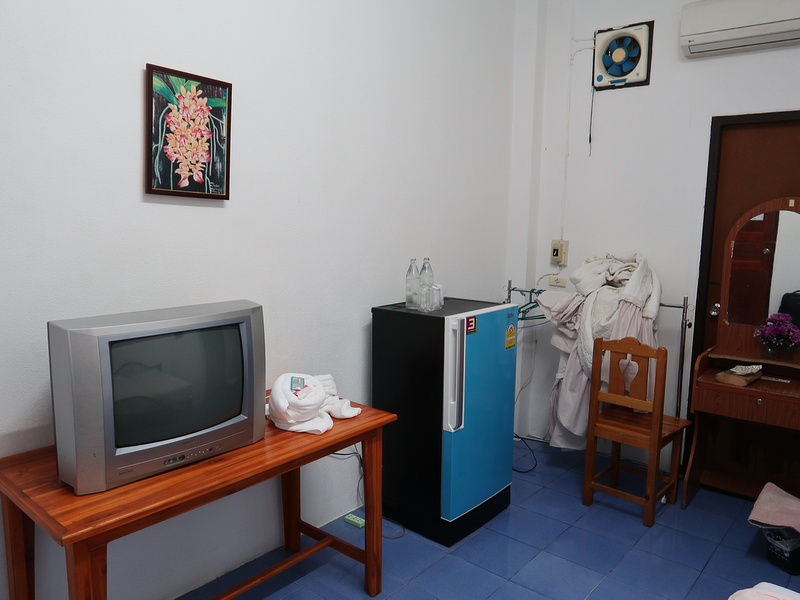 Overall this was a good budget accomodation option in Mae Hong Son. 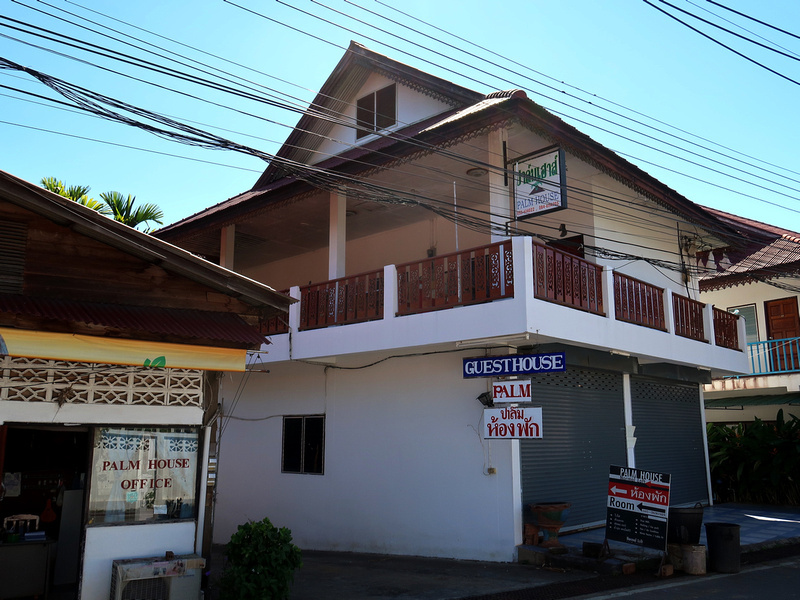 Book the Palm House online or search for more hotels in Mae Hong Son. Read about my trip to Mae Hong Son here.